We had such a great time on our date night as part of #30datesin30days! Many thanks to La Jolla Mom and Details Matter for the opportunity! 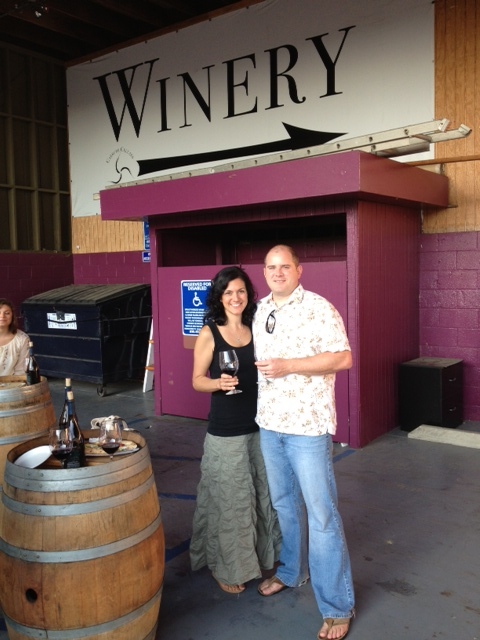 The crew at Carruth Cellars is great; they make you feel like you’ve been long-time friends. We’ll be headed back for more movie nights and may even try our hand at their bottling parties. You should really check them out…after you download the Details Matter App! Here is the link to our review of our date night. In the interest of full disclosure, Movie Night is free for everyone, but we were given a bottle of very tasty wine for participating. Though, we would have raved about this gem of an event anyway, now that we have discovered it! We also bought more wine to bring home…it was THAT good! While I was downstairs getting things ready for our dinner tonight, a tornado was at work upstairs. Introducing our beautiful, middle child…our tiny tornado! THIS, is the reality of how our anniversary evening is starting. Three little words, that have proved to be HUGE in my family! 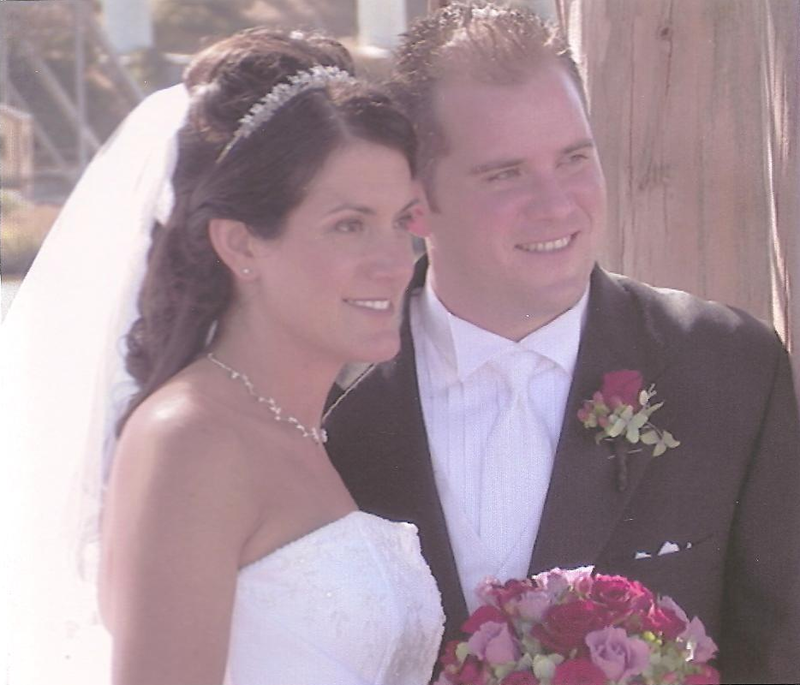 On Tuesday, I will celebrate eight wonderful years with the man I always dreamed of! Our marriage started with these words, and continues to this day. We have faced many challenges, but always manage to see our way through; leaning on each other, when just holding hands isn’t enough. Of course, this post had to be a little more practical than merely an anniversary wish to my Love! Since our anniversary falls on a Tuesday, which is also a school/work day and karate lessons for one of the littles – we had some serious prep to do this weekend! We have been scouring the house, every few months I go through and purge clothes and toys that are outgrown or no longer used. First grade homework has been completed a few days ahead of schedule and we’ve also been deciding which slow cooker recipe we will be cooking with the kids. We will prep the recipe on Monday, so we just have to plug it in on Tuesday. Karate nights tend to make us run a little late. Since dinner will be cooking itself all day, we’ll be able to have dinner, get the kids to bed, then sit down (in a CLEAN house) for a low-key, quiet night. We recently figured out how to set up our Wii to stream Netflix, so we are planning a movie night. Let’s hope the kids cooperate and go to bed on time, because I am REALLY looking forward to just the two of us on the couch, with a glass of champagne, watching something that isn’t animated! No big plans needed. Just a simple night. It is, afterall, Our Life with Kids! Hubby and I continue to TRY to take a few minutes alone, just catching up on each other’s day, as soon as he gets home from work. As much as we try, this time is usually overlooked due to the kids asking for something. 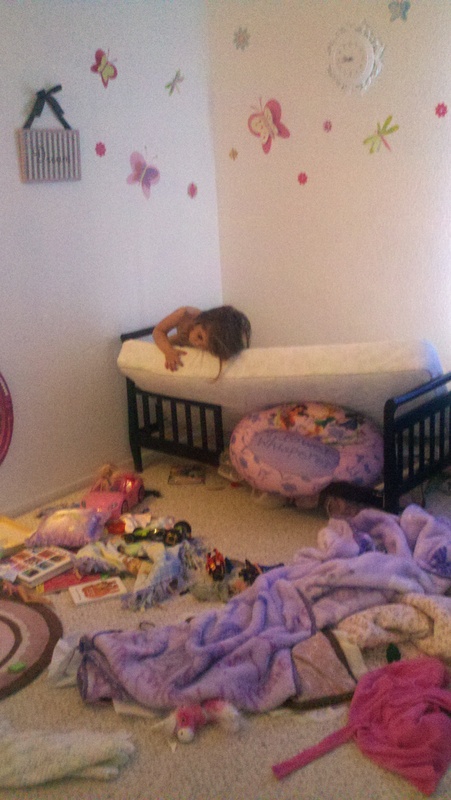 We have also been trying to figure out a way to rearrange our bedroom. Due to the way it is designed, there aren’t a lot of options and we were left with a 10′ x 14′ area with nothing in it. I saw this picture on Pinterest, and have become obsessed with trying to make this sitting area work for our room. It will be so nice to have our own little place to relax and catch up! One of my pet peeves on Pinterest is when someone posts a picture with no link and no description. After some searching, I discovered that the picture above was somehow linked to HomeGoods. I found one of these stores near our house and went for the first time today. I think I may LOVE this store!! It is clean, everything is very well-organized (unlike many of those other discount clearance stores) and to top it off — inexpensive! I love order, and the fact that I have three kids, the inexpensive part is right up my alley! I didn’t find the right chairs today, so I’ll go back in a few weeks and check again, but I did find so many other great pieces for around the house! Since I didn’t have a plan for the other areas of the house, I refrained from buying all of the things I was finding…but I WILL be going back with a plan next time! Believe it or not, in the next month I will be scheduling our photo session for our Christmas pictures. It feels like each year flies by faster than the last! Luke and I have sent a photo Christmas card every year since we were married; this will be our 9th card. I have been planning on framing them all together, then add to them year after year…that’s a project that hasn’t been completed (or even started) yet! Once it is finally completed, I will post pics! This is my favorite picture from last year’s photo session! It looks like the baby is trying to eat her brother and sister, but she was really trying to give kisses! Thanks Brandon for the great pictures! 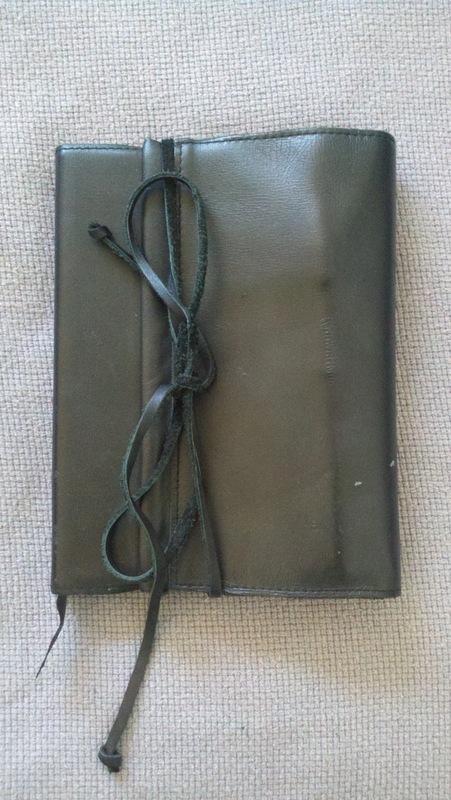 This is the leather-bound journal my husband gave to me on our wedding day. We write notes back and forth to each other and leave it for the other to find. As our 8th anniversary is approaching in a few weeks, I’ll take this opportunity to call him out! It’s been too long since we’ve used this. 😉 I love going back and re-reading the things we’ve written over the years!